Cortes just finished performing a limited engagement run with the one and only Liza Minnelli at The Palace theatre in New York City. Cortes has been singing since the age of 13, first with a pop/jazz vocal group he formed called ‘The Tonics” then with his 2nd vocal group the “Cortes Alexander Trio” and now he’s going at it solo. Check out his debut album “Swell” on itunes and his website: www.cortesalexander.com. 1. Who inspired you to become a performer? Jim Morrison. 2. When did you first realize you wanted to be a performer? When I was 9. 3. Who is the one person you haven’t worked with that you would like to? Ellen DeGeneres. 4. What is the highest and lowest note you can sing? in public? low Eb-high Eb. 3 octaves. 5. Favorite way to keep in shape? Tennis. 7. Favorite Musician/Singer? Right now…Nancy Wilson & a band called Koop. 8. Today Show or Good Morning America? Today Show. 9. Favorite Day of the Week? Saturday. 10. What are your favorite kind of shoes? Nike & Gucci. BONUS QUESTION: Boxers or Briefs? Boxers. 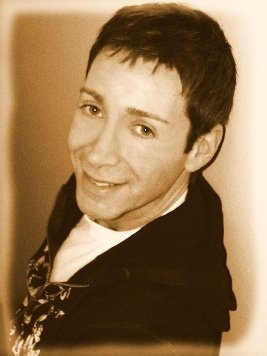 Glenn is an actor/singer that has performed regionally and on tour throughout the United States. Some shows he has performed in are “Love! Valor! Compassion!”, “Little Shop of Horrors”, “Joseph And The Amazing Technicolor Dreamcoat”, “A Funny Thing Happened On The Way To The Forum”, “Wit”, “The Wizard of Oz”, “The Music Man”, “She Loves Me”, and the title roles in numerous children’s theatre productions. Glenn also runs a theatre club for kids in grades 1-5. 1. Who inspired you to become a performer? No one person has inspired me to become a performer. I just always knew, from the time I was 5 or 6, that I wanted to perform. I will say, though, that Matthew Broderick should be arrested for stealing my career. 2. Do you have any strange or unusual talent that no one knows about? Some things are better left a secret, but I do have a knack for stealing things from restaurants. Maybe I shouldn’t admit that. 3. Favorite Musical? I have so many favorite musicals, but I will say “A Chorus Line”. My favorite musical that I have performed in is “Little Shop of Horrors”. 4. Favorite Musician/Singer? If we are talking old school, I’d go with Barbra Streisand and Ella Fitzgerald. Currently I am a big fan of Pink. 5. Animal Crackers or Oreos? Definitely Oreos. Double stuffed. 6. Peanut Butter: Crunchy or Smooth? I love peanut butter so any type works for me…especially if it is inside chocolate. 7. Favorite Meal? My favorite meal would be the ravioli with butter and sage that I had in Rome last summer. 8. Boxers or Briefs? Calvin Klein boxerbriefs. You get the best of both worlds. 9. Books or Magazines? I read tons of both books AND magazines, but if I had to choose I’d say books. 10. Summer Resort or Winter Retreat? Summer resort. Put me on the beach with a frozen alcoholic beverage and I am one happy camper. 1. Who inspired you to become a performer? People, I think everyone deserves to have their story told. 2. When did you realize you wanted to be a performer? Age 6, my Dad took me to see Hansel and Gretel at the JCC in Birmingham, (I still have the autographed program). I went home and asked my parents how I could do that when I grew up. 3. How old were you when you had your first real kiss? 16 a guy that had the most amazing curly brown hair, his name was Jon and I thought he looked like Andrew McCarthy. I LOVE CURLY HAIR. 4. Do you have any strange or unusual talent that no one knows about? I am an excellent pig caller and an amazing cook. I realize these are frightening talents but what are you going to do? 6. Starbucks or Dunkin’ Donuts? What do you order? Dunkin’ Dounuts, Large Coffee with 1/2 and 1/2 with 3 Splendas,but I will generally drink anything that is hot and brown and loaded with caffeine. 7. Today Show or Good Morning America? Today Show, I would like to marry Matt Lauer and force him to wear a curly brown wig to bed. 8. Summer Resort or Winter Retreat? Winter Retreat, I hate the summer. 9. Peanut Butter: Crunchy or Smooth? I only like Dark Chocolate Peanut Butter from Peanut Butter and Co in NYC. I love to dip baby carrots in it. 10. Animal Crackers or Oreos? Oreos, but only the cookie part.